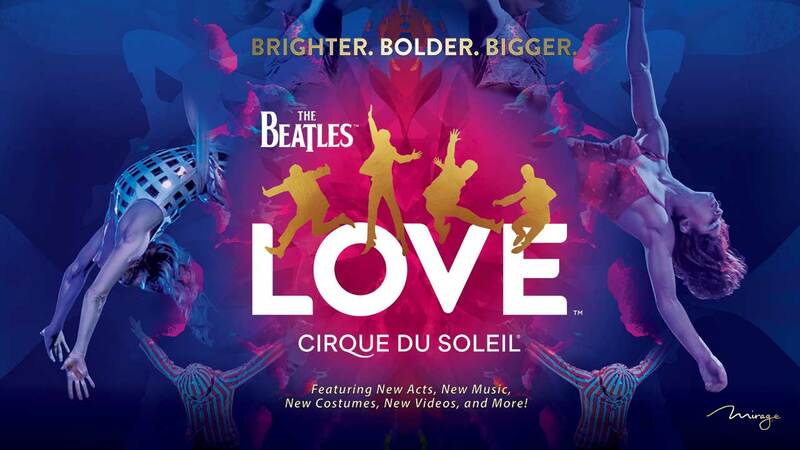 Visit Tix4Tonight for discount Beatles Love Tickets to enjoy a show that combines the creative forces of Cirque Du Soleil with the most beloved band of all time. 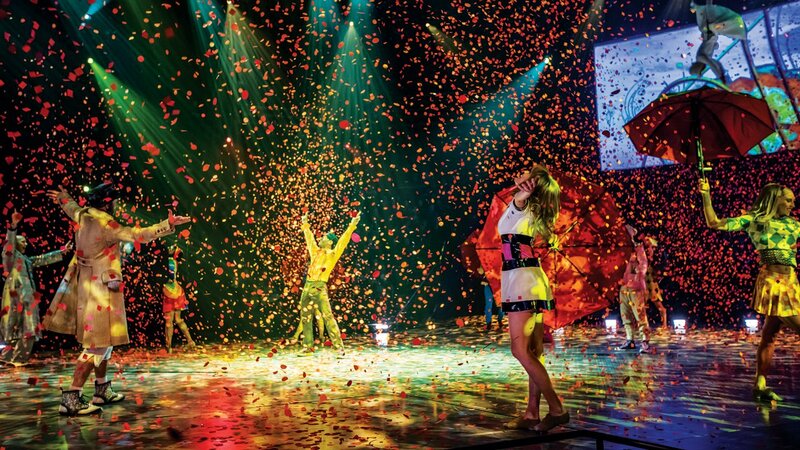 Only one Las Vegas production combines the mystery of Cirque Du Soleil with the magic of the most beloved band of all time, The Beatles. 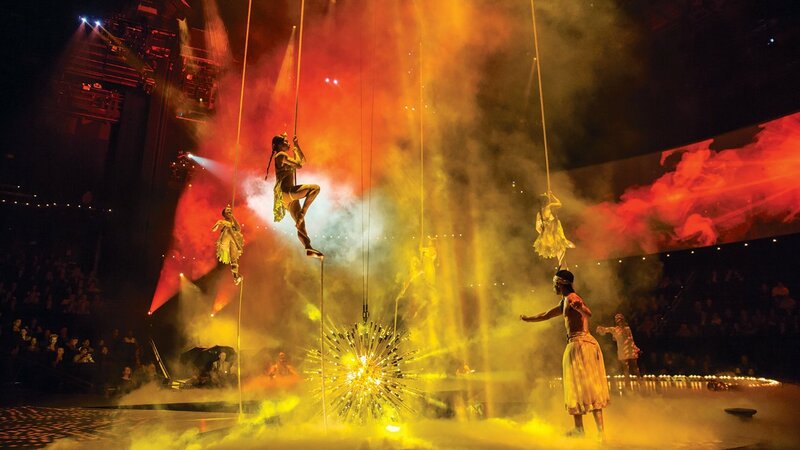 Cirque Du Soleil’s The Beatles LOVE is an extraordinary collaboration between two of the most imaginative forces in the history of entertainment, and the results are everything fans could have wished for. 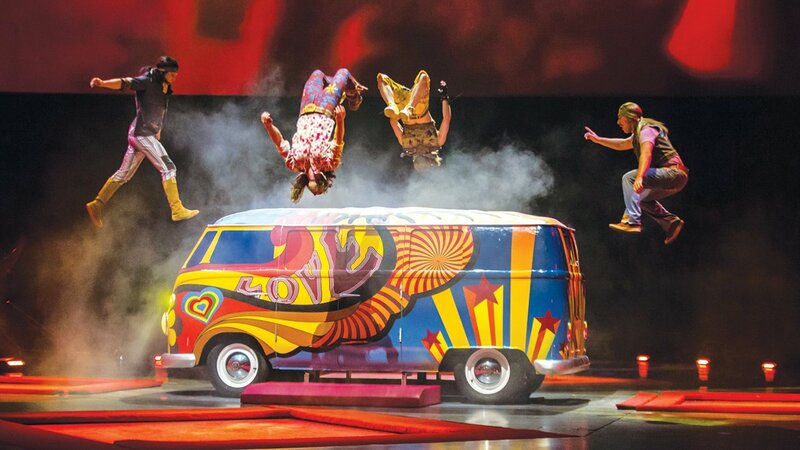 The show was originally conceived years ago through the friendship and mutual fandom shared by Cirque founder Guy Laliberté and late Beatle guitarist George Harrison. The Fab Four’s legendary producer, Sir George Martin, used the original master tapes from Abbey Road Studios recordings to remix some of the band’s best loved songs into a beautiful sound-scape that will engulf you in the custom-built theater’s state of the art surround-sound system. The creative artists at Cirque Du Soleil knew they had to come up with visuals that would live up to the amazing music, and they outdid themselves with this amazing production. More than 60 freestyle dancers, aerial acrobats, and extreme athletes from all over the world perform in the visually stunning show, which interprets the lyrics of The Beatles catalog in new and innovative ways that will have you bobbing your head and tapping your toes when you’re not shedding tears. When you see beloved cuts like “Yesterday,” “I Want To Hold Your Hand,” “Hey Jude” and, of course, “All You Need Is Love” represented visually by the creative geniuses at Cirque, songs that so many people already hold so closely to their hearts will take on even more meaning… which is both a compliment to the imagination that went into creating the show and the elasticity of one the greatest songbooks in the history of popular music. Though Vegas has many fantastic Beatles tribute acts, The Beatles LOVE is more than that; combining the artistic sensibilities of the band with Cirque Du Soleil’s visionary style, the creators of the show have created a thrilling, visually stunning, and emotional work of art that will create totally new memories to associate with some of the most memorable songs ever written.